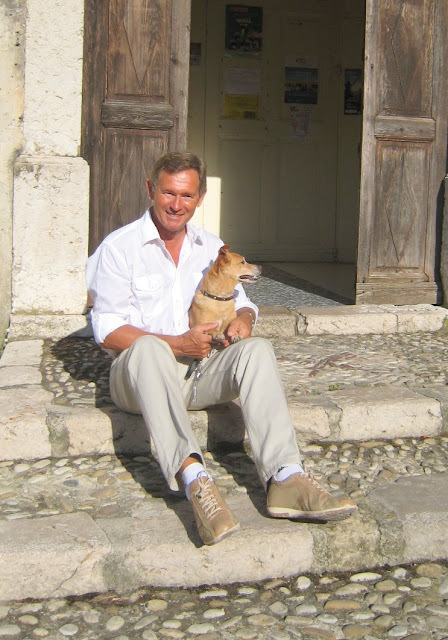 This little dog belongs to Don, a friend of mine who lives in Italy. Below you'll see Don and Chico outside the church in Gorbio village. 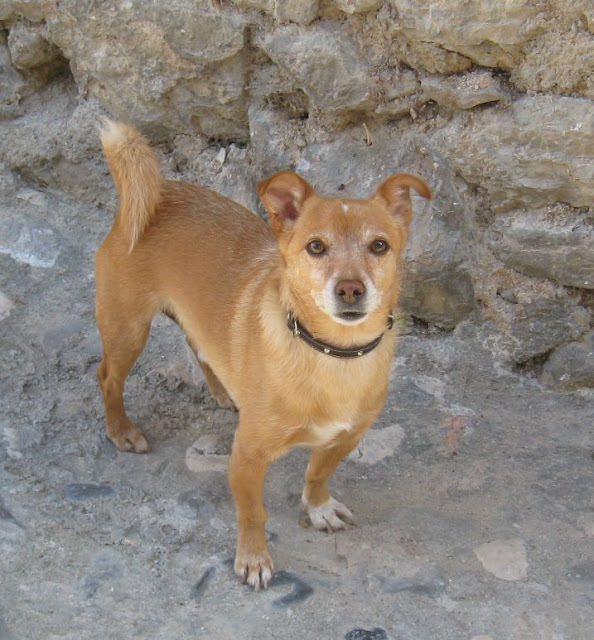 Chico appeared one day at Don's house in Orvieto and despite a long search, the owner was never found - so Chico now has his forever-home. Lucky dog! Lucky Don! What a beautiful photograph this is. I like the dog and the picture of the dog and Don is really nice. The story of the dog and Don is even better than the picture if that is possible. Somehow I think dogs were meant to be human but were set aside as human companions and we were punished and became human. If there are any qualities I like to mimic it would have to be the pack as family. There are stories in legitimate US newspapers, that each summer vacation time in Italy and Spain, people abandon their pets, and let them fend for themselves on the streets. Upon their return, they either search for their animals, or get new ones. Is there any truth to that story? What a great story. All the best to Chico and Don! Chico looks adorable! Love the photo of Chico and Don! They both look very happy!